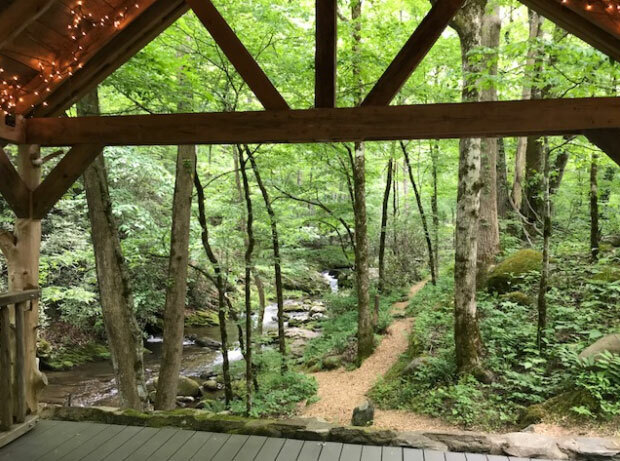 There are many beautiful, natural places to elope in Gatlinburg and the Smoky Mountains. Here are a few of our favs! If you’re seeking a good ol’ country vibe with a wood cabin and creek to serve as your audience, Ely’s Mill is a quaint spot to tie the knot. This little piece of history is framed by the Roaring Fork Creek. Exchange your vows here then head over to the store to pick up an historic elopement souvenir. Reservation fee required. Inquire with us about this awesome and charming spot! Perk: there is a changing room, parking and covered space in the case of rain. 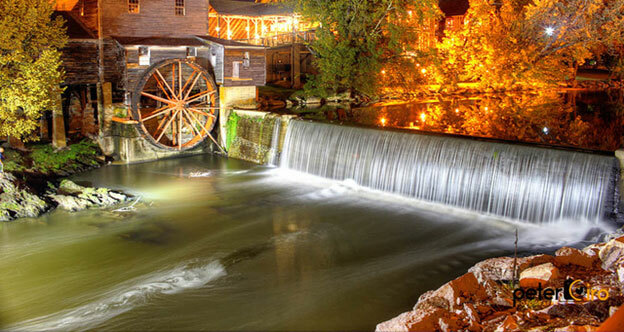 If you want your elopement to look like it came straight out of a classic western flick, you can’t go wrong with The Old Mill at Pigeon Forge. This spot is teeming with history and is such a fun spot to elope. Hop on over to the Old Mill restaurant for a celebration afterwards! 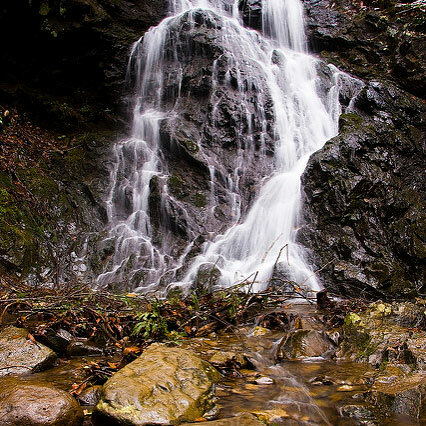 Cataract Falls is by far one of the easiest places to hike into in The Great Smoky Mountain National Park area. 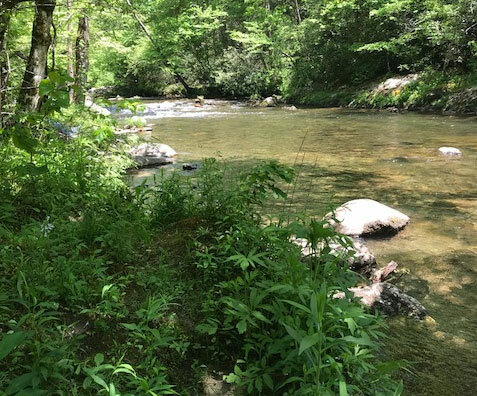 A flat, 10-minute walk from the visitor’s center (which is about a 3-minute drive from downtown Gatlinburg), pretty much any one of any age should be able to get to this spot. This is a nice and easy spot for an elopement. Just be warned, this is a highly public and there will definitely be on-lookers and potential applauders. Not for the shy of heart. Permit needed. We titled this spot ‘Little River Lookout’ because it’s an unmarked area. Right off the road en route to Cade’s Cove, this spot is about an 11-minute drive past the visitor’s center. There are about 10 parking spots and really darling spots to get eloped right next to the creek. While there are no travel fees for this spot, permit still necessary. Best for ceremonies with 10 guests or less. For a ceremony location with an awesome view of both Gatlinburg and Smoky Mountains, The Gatlinburg Space Needle is a great way to go! While we can’t actually close off the entire observation deck, we love performing intimate and small ceremonies at this fun attraction! 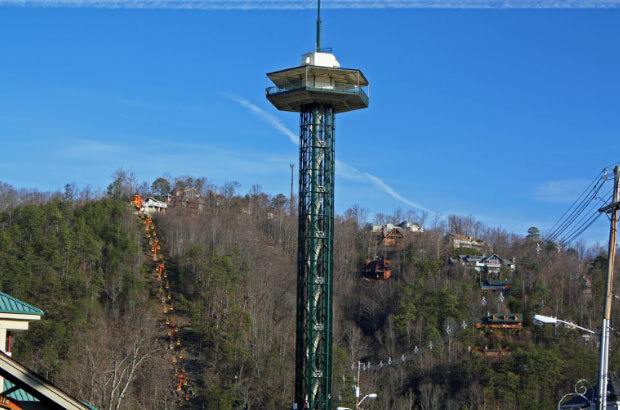 If a view is what you’re after, not many better options than Gatlinburg Space Needle! Entrance fees are necessary for this spot.